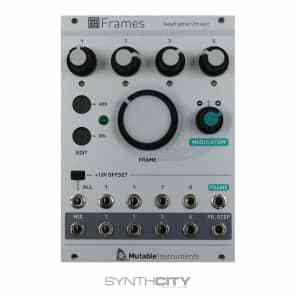 * 4-channel programmable CV source. But what makes it truly unique is the way in which channel levels can be controlled, using a technique inspired by computer animation. 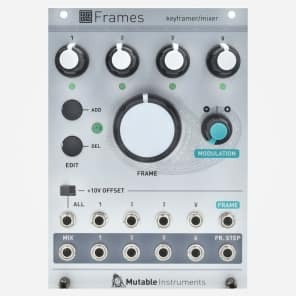 Frames allows up to 64 configurations of the 4 level knobs to be stored and recalled throughout the course of its big "Frame" knob. 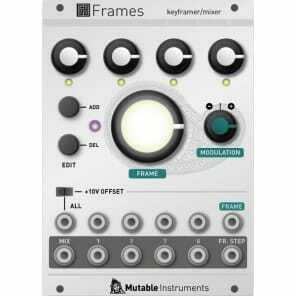 By rotating the knob (or sending a CV to the Frame modulation input), the configurations are morphed into one another. * CV inputs impedance: 100k. 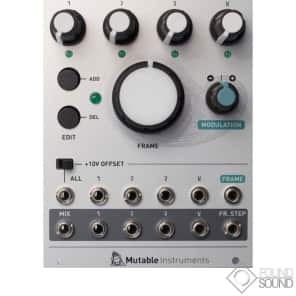 * Audio input impedance: 100k (25k for the global input in some configurations due to normalling). 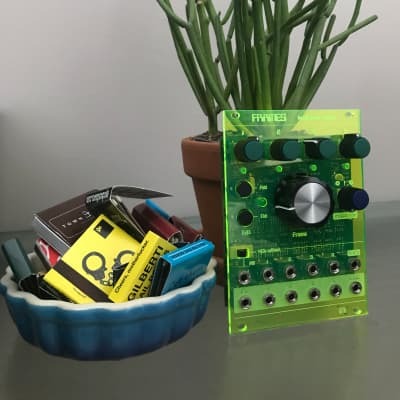 * Open-source hardware and firmware. 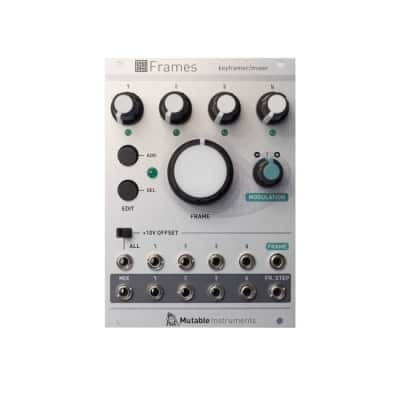 * Easy firmware updates through an audio interface.